We look forward to helping you make all the right moves. Buying a property can be a difficult, time consuming and emotional process. Let our experienced team guide you each step of the way and provide you with our insight, experience and research to help you find the right property. Selling a property requires an agency which is not only knowledgeable of the market but can also provide the best marketing strategy and deliver the best deal for the seller. Finding the right rental in Amsterdam is not an easy task. We are here to help you. Specializing in beautiful rental homes in the most desirable areas of Amsterdam including the historical city center, Jordaan, canal ring, the Pijp, Old South, Old West, Amstelveen, and beyond. 27 House Real Estate helps owners rent out their property(ies) for the best price, with the most attractive terms and to the ideal renters - in most cases to Expats. We are able to advertise your property in numerous places including Funda, Pararius, our 27 Huis website and much more! 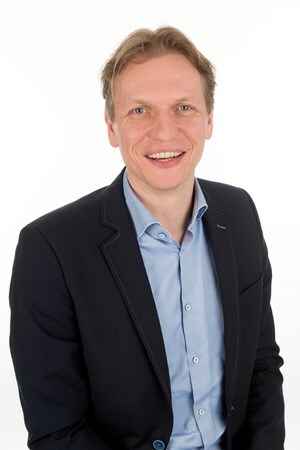 Charles is a native English speaker (from the US) and has more than 25 years’ experience in Real Estate including more than 14 years in The Netherlands. Charles graduated from Tufts University and lived in Boston, MA, West Hartford, CT and Washington, DC before moving to Amsterdam in 2003. After working for a year for a Dutch real estate agency focused on the Expat market while he took Dutch language classes and Inburgeringscursus, Charles moved to Perfect Housing to set-up and create Perfect Real Estate where he was the Director. After more than 3 successful years and many satisfied clients, Charles decided to start his own agency in the heart of the Jordaan (in the center of Amsterdam) and in early 2008, 27 House Real Estate / 27 Huis Makelaars BV was born. Charles looks forward to helping you buy, sell or rent your apartment and to Helping you make all the right moves! Monique is a Dutch native speaker and fluent in English and French. Before becoming a real estate agent in 2005 she had a recruiting and selection firm in Amsterdam/Amstelveen. Monique worked for two years at Perfect Real Estate where she was the successor of Charles. Monique was an ex-pat for a couple of months. Not always a very pleasant experience. Mostly because of the housing conditions. So she knows how important it is to have a pleasant, warm home if you are far away from home. Monique is also a certified, professional appraiser (RMT) and became a member of the 27 House Real Estate team as of July 2010. If you need an appraisal (‘taxatie’) she will be more than pleased to take care of that. I have been active in real estate since 2000 and I completed my courses in 2005. These are among the main reasons I went into real estate. In addition, I am also active in managing Owners Associations throughout the city. In this way I am known in various areas of real estate. In Amsterdam there is much to know about the laws and rights associated with property and I can guide a buyer to the in's and out's as well as tell them about their rights when joining a V.v.E. in the purchase of an apartment. Since March the 1st 2012 I have been a proud team member of 27Huis Real Estate and I look forward to helping you buy, sell or rent your property and to Helping you make all the right moves!